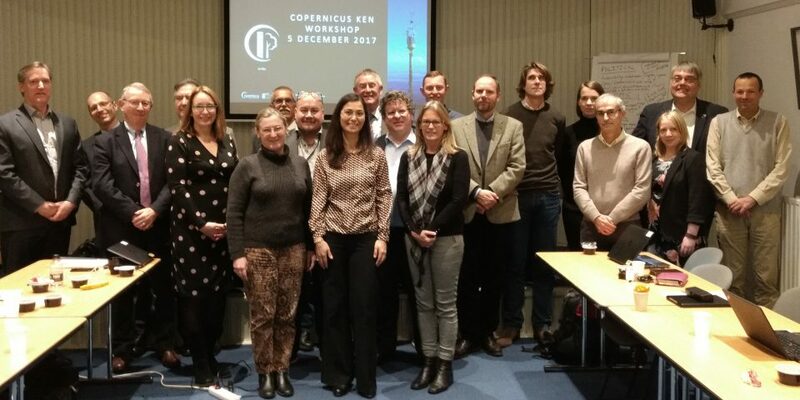 The Copernicus KEN (CoKEN) is the knowledge exchange network aiming to support developments of services of European Earth observation programme Copernicus by arranging and/or facilitating access to reference in-situ data from National Mapping and Cadastral Authorities (NMCAs). The CoKEN continues the activities of former Emergency Mapping Knowledge Exchange Network (EmKEN). The main purpose of the Copernicus KEN is to facilitate access to authoritative geospatial in situ reference data produced by the NMCAs for use in activities initiated by EEA/Copernicus. Enhance the dialogue between Copernicus and EuroGeographics’ members, with a view to making more national authoritative geospatial data available to the Copernicus services in accordance with their requirements. The CoKEN maintains a work plan which is updated annually. The Knowledge Exchange Network is open to all EuroGeographics members. Please, contact Angela Baker for more information or get involved in the Copernicus KEN.